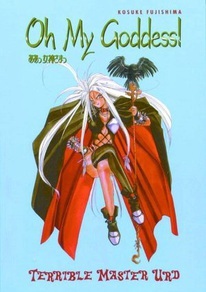 An errant phone call started college student Keiichi Morisato's problems and delivered him his own live-in trio of mystical goddesses, Belldandy, Urd, and Skuld. Now another call cranks his troubles up a notch -- this time a message from the Supreme Being who's suspending the troublesome Urd's goddess license! That would be the answer to Keiichi's problems if only there weren't evil forces afoot.